Cancer Screening – What's New in GU? Should Men with Metastatic Prostate Cancer Get Genetic Testing? Of all the different types of cancer, prostate cancer is one with some of the strongest links to the family tree. The inherited risk of developing prostate cancer due to genetic factors has been estimated to be as high as 57%. As a result, there has been a large push for research to identify where exactly in the genetic profile this risk comes from and whether these genes are passed down through ancestry. We already know that mutations in certain genes – specifically those that are responsible for repairing the DNA of cells in our body – can increase cancer risk. A gene mutation like this disrupts the normal function of the genes involved in repairing damaged DNA, and so far, more than 100 variants have been found. These include mutations in BRCA1, BRCA2, MSH2, and HOXB13. The most common mutation of this type is involves the BRCA2 gene, which is linked with significantly increased risk of cancers of the breast, ovaries, prostate, colon, pancreas, as well as melanoma. It is linked with 1.8% of overall prostate cancer cases. Weill Cornell Medicine and NewYork-Presbyterian served as one of the main research sites in a recently-published multi-institutional study which found that 11.8% of men with metastatic prostate cancer had DNA-repair gene mutations. This is significantly higher than the prevalence among men with localized prostate cancer (4.6%). These mutations are associated with more aggressive and fatal cancers, so it makes sense that a higher percentage was found in those with metastatic disease. This study also showed a link between having DNA-repair mutations and a family history of prostate cancer. Genetic testing is very important because inherited mutations in genes that affect DNA repair plays an important role in identifying family members who also may be at increased risk (and not just for prostate cancer), deciding the best course of treatment, and in decision making in screening for other cancers. Knowing this information presents an opportunity for precision medicine in order to customize treatment for each patient. PARP1 is an enzyme that has emerged as a new drug target for cancer therapy and certain cancer treatments, such as PARP1-inhibitors have been shown to be more effective in prostate cancer patients with these DNA-repair mutations. Men with metastatic prostate cancer and these mutations also frequently respond to platinum chemotherapy. Additionally, it is known that twins are more affected and early-onset cancer may result from germline alterations so young men with prostate cancer are being studied to figure out which genes may be linked with a prostate cancer diagnosis at an early age. Author lindseyhemoncPosted on August 12, 2016 Categories Genitourinary Cancer, Prostate CancerTags Cancer Risk, Cancer Screening, Cancer Treatment, Genetic Testing, Genitourinary Cancer, News, Prostate CancerLeave a comment on Should Men with Metastatic Prostate Cancer Get Genetic Testing? Diagnosis Decisions: Is Active Surveillance the Right Prostate Cancer Treatment Choice for You? We’re launching a new blog series to help provide some direction to the decision making process that typically follows a cancer diagnosis. To kick off the series, we sat down with Dr. Jim Hu, one of our internationally-renowned urologists, to determine some of the factors that should go into the decision to pursue active surveillance as a prostate cancer treatment approach. A cancer diagnosis typically involves much more than just detecting the presence of cancer in the body. Additional information about the nature of the cancer and where it started and may have spread helps physicians recommend the best course of treatment, especially since depending on cancer type (very low, low, intermediate or high risk), there can be a wide ranging degree of aggressiveness. For most types of cancers, there are different standards used to “grade” or assess this aggressiveness on a common scale. Usually this information is then used in conjunction with information about whether the cancer has already spread or metastasized to other parts of the body. It can also be used alongside other genetic and molecular information about the cancer that tells us whether this specific cancer is likely to respond to a certain treatment and the rate at which the cancer is likely to spread. For a long time, prostate cancer has been known as an “indolent” or slow-growing cancer relative to other cancers such as pancreatic or lung cancers. The aggressiveness or rate at which it is likely to grow is measured by studying the appearance of the cancer cells under a microscope to determine the grade. For prostate cancers, we refer to this as the Gleason score. The lowest prostate cancer grade is currently Gleason 3+3=6. Grade 6 prostate cancer is thought to be non-aggressive and unlikely to spread to other places in the body. However, there are cases when more aggressive cancer may have been hidden and then subsequently discovered. The challenge is that in 75% of cases, prostate cancer is multi-focal, meaning that it grows within several areas of the prostate. This makes it difficult to accurately stage the tumor entirely, as only one section of the cancer is being analyzed to determine its aggressiveness. As a result, the decision to pursue active surveillance or careful monitoring and watching in patients with low-grade tumors on the Gleason scale depends on several factors. These factors include a man’s overall health, life expectancy, the age of diagnosis, and personality type. The rationale for this approach is that low-risk prostate cancer grows very slowly and some question whether it ever spreads. Therefore the majority of these cancers may not be life threatening within a 10 year time frame, so men can avoid prostate cancer therapies that may affect quality of life. For this group, active surveillance is an alternative to the over-treatment of prostate cancer and potential side effects that can come along with it For example, in men who have numerous medical conditions and a shorter life expectancy, active surveillance is a reasonable treatment option, even with Gleason 3+4=7 prostate cancer, or intermediate risk disease. With active surveillance, it is important to be monitored regularly by a urologist who will test your PSA levels and perform digital rectal examinations of the prostate. Imaging with Magnetic Resonance Imaging (MRI) and targeted biopsy of suspicious areas should also be part of the routine to accurately assess prostate cancer severity. Targeted biopsies use ultrasound fused to the MRI to guide the procedure, greatly increasing the accuracy and likelihood that the tissue sample is of the most suspicious section of the prostate. A guided biopsy takes approximately 10 minutes and carries a small risk of infection or bleeding (like a standard biopsy). Many academic medical centers, including Weill Cornell Medicine/NewYork-Presbyterian Hospital offer targeted biopsies, but many community practices do not. Additionally, there is a learning curve to the procedure, so the experience of the urologist is critical. There are also biomarkers that have recently been developed to evaluate the need for a prostate biopsy. These include the 4K test and Prostate Health Index (PHI), which are blood tests that assess the likelihood that prostate cancer may be contributing to a rise in PSA level. Additionally, for men diagnosed with low risk prostate cancer, there are new tests that assess the genetics of the tissue to determine whether more aggressive disease may have been missed on the biopsy, and present in other parts of the prostate. These assays are called Oncotype Dx, Decipher and Polaris. We offer all of these tests at Weill Cornell and NewYork-Presbyterian, and together they paint a much more complete picture of the prostate cancer and whether it is progressing. This comprehensive, big picture is what we use to make recommendations for your overall course of prostate cancer treatment, including whether it would be a good idea to pursue active surveillance. 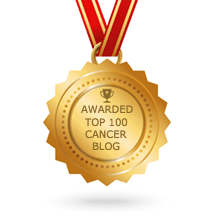 Author lindseyhemoncPosted on August 5, 2016 August 5, 2016 Categories Genitourinary Cancer, Prostate CancerTags Cancer Diagnosis, Cancer Screening, Cancer Treatment, Genitourinary Cancer, NewYork-Presbyterian Hospital, Prostate Cancer, prostate cancer treatment, Weill Cornell MedicineLeave a comment on Diagnosis Decisions: Is Active Surveillance the Right Prostate Cancer Treatment Choice for You? At Weill Cornell Medicine and NewYork-Presbyterian Hospital, many of our patients and their families experience a wide range of emotions during and after treatment for kidney, prostate, bladder and testicular (genitourinary or “GU”) cancers. Often, freedom from cancer is both something to celebrate and something that comes with an air of caution. That’s because the joy of being cancer-free may be accompanied by fear that the cancer may return. Some cancers can and do come back after treatment. This is called “recurrence.” Recurrence can depend on several factors, including the type of cancer, whether it has spread from the original source and how the cancer responded to treatment. While there is no foolproof way to keep cancer from coming back, there are many things you and your healthcare team can do to monitor what’s going on in your body. You may feel differently than you did before treatment, both physically and mentally. And that’s okay. It’s important to be in tune with your body and your new normal so that you can be mindful of any bodily changes. It’s also important for cancer patients and survivors to lead a healthy lifestyle. This includes eating a healthy diet, being physically active (under the supervision of your healthcare team), and regularly following up with doctors’ appointments and routine medical tests. Cancer survivors can live very long and full lives, so routine medical tests and appointments aren’t limited to following up with your oncologist and getting scans and imaging tests. It’s important to also get regular physical exams and monitor other markers for diseases such as cholesterol, diabetes, high blood pressure and heart disease. Routine follow-up tests may also identify the recurrence of cancer even before symptoms develop. Since cancer can come back in the same part of the body or in another part of the body, signs and symptoms may differ from those involved with your original diagnosis. For instance, an increase in fatigue, the development of new pain or worsening of existing pain, weight loss, urinary changes (including blood in urine), and other changes in the way you feel should be discussed with your physician, especially those that persist. This Independence Day, as you enjoy time with your family, watching fireworks, and celebrating other traditions, take a moment to think about independence from cancer. Our support groups can help by providing a safe space and community for prostate cancer and kidney cancer survivors, patients and their families.